The Extreme Science and Engineering Discovery Environment, more commonly referred to as XSEDE, is a single virtual system that helps connect thousands of researchers and students across the US with NSF-funded supercomputers, data analysis systems, cloud resources, and computational expertise. We are using an innovative and cost-effective model to fund a diverse, multi-state research collaboration which engages top-notch talent and critical cyberinfrastructure resources to further the nation’s research enterprise. XSEDE’s payroll supports 190 people residing in 16 different states. The payroll itself covers 91 full-time equivalents, so only a small portion of the salary of each person on the payroll. We’re unique in that we fund a fraction of the time of experts in many areas: parallel performance, science gateways, and specific disciplines of HPC such as physics, chemistry, biology, etc., which allows XSEDE to provide our users with expertise in many diverse areas. By subcontracting with a total of 18 different educational institutions and not-for-profit organizations, located in 14 states, we are supporting a national workforce which is advancing the national research community. So while you may think of XSEDE as an organization that is led by NCSA, SDSC, PSC, and NICS, we are very much a national organization. Our approach to funding and co-funding people at a large number of smaller institutions actually increases the participation of smaller institutions on the national advanced cyberinfrastructure scene. 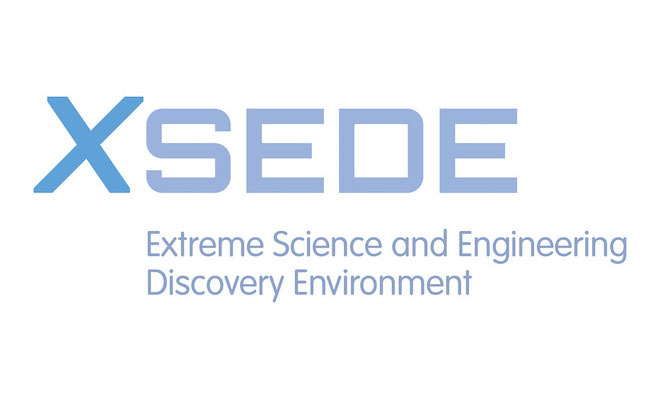 Institutions that could not realistically lead an organization as large as XSEDE are able to be a part of XSEDE, and be involved in serving the national community in ways that would not be possible without XSEDE’s purposeful approach to engaging a diverse, widely-dispersed, and excellent workforce in support of the nation’s research enterprise. To learn more about what makes XSEDE unique, visit us at https://www.xsede.org/.